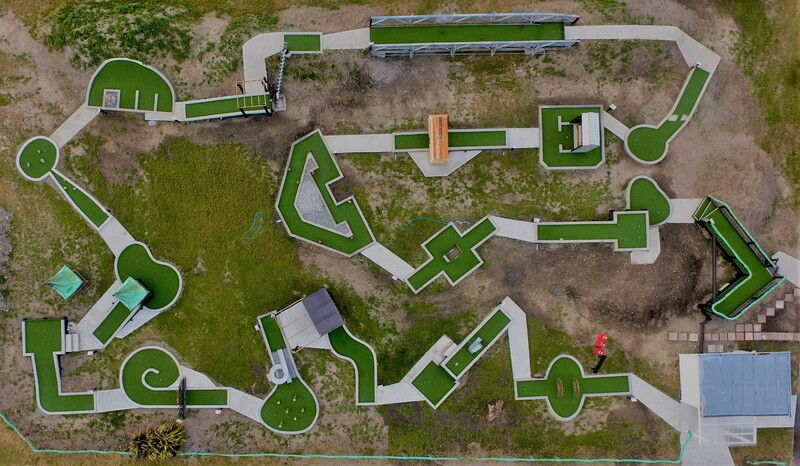 City Putt is a mini golf course in central Christchurch that’s fun for the whole family. Our course is based on celebrating Christchurch’s past. Conveniently situated just across from the Magaret Mahy Playground in the central city. Bring the kids in for some fun in the park, and grab yourself a coffee in one of the nearby cafes. Not sure what else to do? Try one of our cruiser bikes to explore the local area.